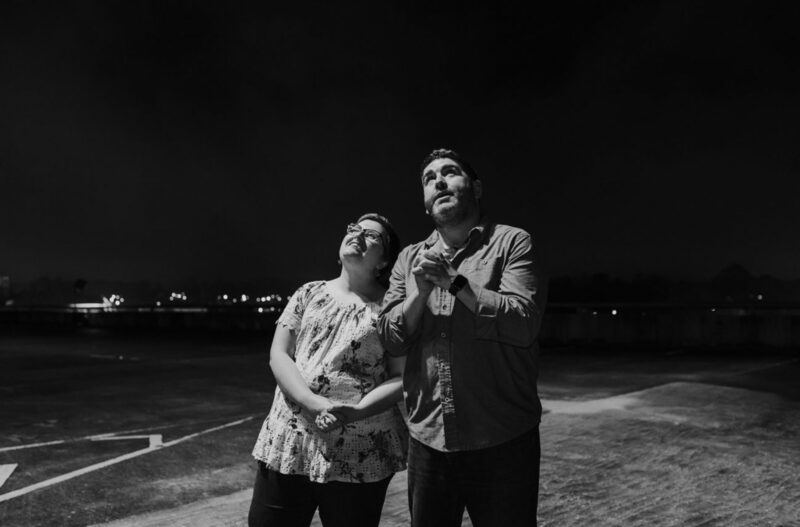 Maggie Shipley, left, and JP Leonard see nowhere to go but up for Lafayette's booming comedy scene. JP Leonard still worries. As founder of the 3-year-old Lafayette Comedy booking brand, Leonard fosters local talent while bringing national comedians to perform in a smaller-than-usual market. Some of those national acts who have performed in Lafayette Comedy’s short lifespan include Brian Posehn, Tom Segura, Doug Stanhope, Kyle Kinane, Jen Kober, Shane Torres, and “Saturday Night Live” alumni Shaseer Zamata and Brooks Wheelan. Those bigger names will continue to visit, too. 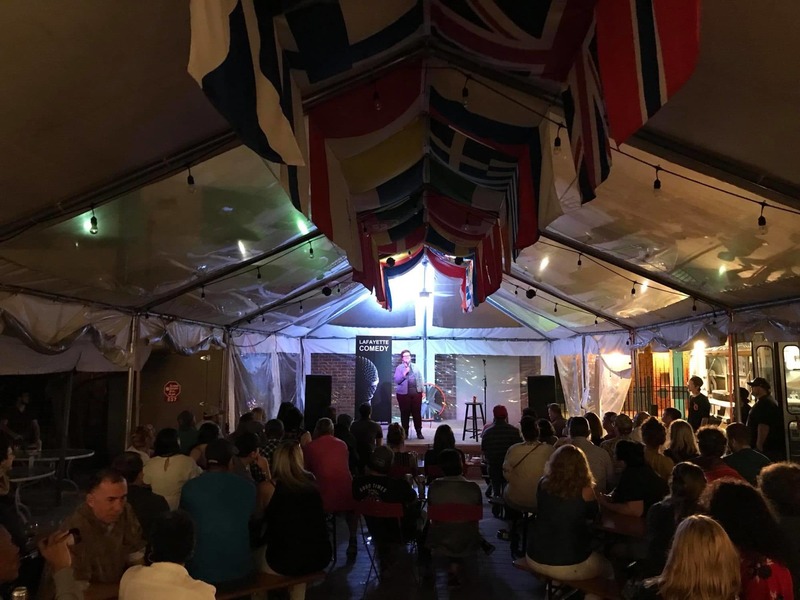 At the same time, Leonard has run a weekly open mic comedy night at The Wurst Biergarten, allowing local comedians to work through their material. Though Leonard won’t take credit for it, Lafayette’s own Maggie Shipley is quick to praise Leonard for his help in building and nurturing the comedy scene. Now, Lafayette boasts regular comedy events from open mics to national showcases. The average attendance for a headlining show is 200 people. Around 90 percent of those shows have sold out. On top of that, Lafayette Comedy has brought themed trivia nights and specialty shows to town. Comedy is alive and doing well in Lafayette, a city off the beaten path for stand-up. Despite that success, Leonard always has nerves when he books a comedy show in Lafayette. 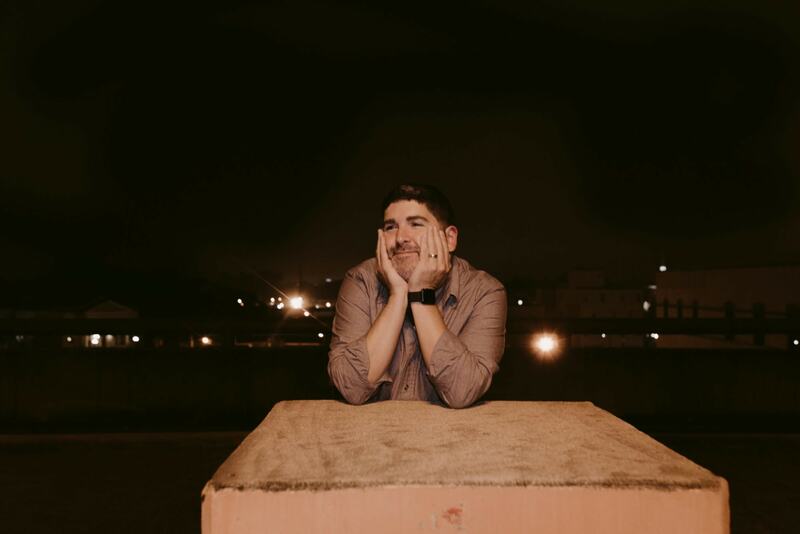 Though Lafayette Comedy officially started in 2015, Leonard began working with comedians in 2014 while booking bands for the now-closed Johnston Street venue, Poets. After meeting a few New Orleans comedians, Leonard got the idea to bring that talent a couple hours west for a monthly comedy showcase. Bringing comedy to Lafayette also gave Leonard the opportunity to try out his own material. Brian Posehn performed two sold-out shows, presented by Lafayette Comedy, in August. Bringing bands to Poets wasn’t quite successful, so Leonard started hosting Friday night open mic shows with added, booked talent. Around the same time, a Sunday open mic started down the road at the now-closed JP’s. However, Leonard was quick to notice that the same comedians were performing both showcases, every week. With a little budget and some networking, he began building shows with touring acts performing first, followed by an open mic. Any money he made, he used to bring in the next person. Within months of booking comedy shows, he began working with out-of-state talent, some of whom had agents, contracts and what he calls “all that legal stuff.” Leonard was no longer booking shows for his own amusement. This was a serious business. By 2015, Lafayette Comedy was born. In February 2015, Leonard was bringing in names like Segura, Posehn and cult icon Emo Phillips. Now, three years later, with more experience and a brand/business under his belt, Leonard breathes easier. That Brian Posehn show, for instance, sold 200 tickets in less than a day. Once the name talent started showing up, the shows — the talent, the crowds and the volume of both — got bigger. The secret to open mic success. Don’t throw up. Don’t fall down. The health of an open mic scene in any city is hard to judge. Local comedy is hard to sell. Open mics can be hit or miss in terms of quality and attendance. Automatically, the biggest factor comes down to if the performer is or isn’t funny. Over the past year, several open mics have popped up at The Platform at Dat Dog, and Bisbano’s Pizza Parlor, on top of Leonard’s regular spots at The Wurst. By proliferation, open mic comedy seems to be doing just fine, giving locals a shot at the mic and even a chance at opening for those visiting headliners. Ask Leonard to rattle off Lafayette comedians to check out, he can instantly name a handful: Vaughan Veillon, Ken Edwards, Joey Thibodeaux, Shelby Shone, Lindsey D’Anna, Isiah Benjamin and Shipley. Shipley started performing at open mics around the same time Leonard built his Lafayette Comedy brand. Her hustle on the comedy scene has led to opening for national comics like Nate Bargatze as well as hosting her own monthly open mic, Pretty Funny Comedy, at Bisbano’s. A Lake Charles-born Louisiana Tech graduate, Shipley had always been interested in stand-up comedy. She told herself that if she ever got the chance to perform, she would look into it. Three years later, she still vividly remembers her open mic debut. “The first open mic was a perfect little trash fire,” she recalls. “I got a little too drunk, then I freaked out when I heard my voice over the speaker. My voice got stuck in this Southern accent, and I couldn’t shake it. My brain turned into a feedback loop, and I couldn’t stop thinking about it. Her first year she felt good about performing at open mics. But now, looking back on her earliest stuff, Shipley groans. By 2016, she started digging deeper, past her comfort zone of random absurdities. Over the past two years, Shipley’s confidence in her material has grown. From afar, it’s easy to say, “Hey, she’s doing it. She’s a comedian.” But what passers-by don’t see is the in-between — the bombing on stage, the consecutive bad nights. Maggie Shipley works The Wurst Biergarten. Shipley knows the spectrum of audiences at comedy shows. Sometimes, it is the comedian’s fault — poorly telling a poorly-written joke. Other times, a comedian can say anything, and the crowd will laugh at everything. On the other side of the spectrum, a comedian could perform to a room of people who are just having a bad day, not laughing, and “there’s nothing you can do about it,” she says. “When you can accept those situations, when you have a cold room not responding to anything, it gets really funny in retrospect,” she adds. As Shipley started performing in 2015, Leonard was also working on his own stand-up material while figuring out how to bring more national comedy to Lafayette. Leonard knew the pressure of being on stage, playing guitar and bass in bands for nearly 15 years. He had played in acoustic and full bands. He had played casinos, weddings and to thousands at a Mardi Gras bash in New Orleans. But comedy is a different beast. Nowadays, Leonard works clean — PG-13 subject matter and no f-bombs. When he brings in national acts, he feels responsible for hosting the show, kicking off the night and making everyone feel comfortable before a few openers and the headliner. Those gigs in front of the more established comedians have been some of Leonard’s most successful sets. In front of Stanhope’s crowd, he did an entirely clean 15 minutes — something he thought fans of Stanhope, a bawdy comic, would hate. While opening for Posehn, Leonard did two sets about his dad’s deteriorating health. Leonard’s worst sets have been, thankfully, out of town. He jokes that he had one such set at a basement bar in Pensacola, Fla. But even those experiences help, and he can give that advice to other comedians. Leonard and Shipley have also both hosted open mics, serving as a transitional voice between locals cutting their comic teeth. Hosting open mic shows has another, different set of rules. Outside of the occasional, overconfident drifter who signs up to perform or a laughless audience, open mics can be innocuous. Moreover, open mic nights in Lafayette have built-in support from the other local comedians who get a little time to do what they love. As 2018 closes out, the regularity of comedy in Lafayette shows no signs of slowing. On Saturday, Dec. 1, Lafayette Comedy will host Jazz Cabbage, a monthly showcase of Southern comedians, at 8 p.m. at The Wurst Biergarten. Later in December, Louis Katz will perform. At the top of 2019, Matt Braunger will headline a show at Club 337 inside the Doubletree Hilton Hotel. 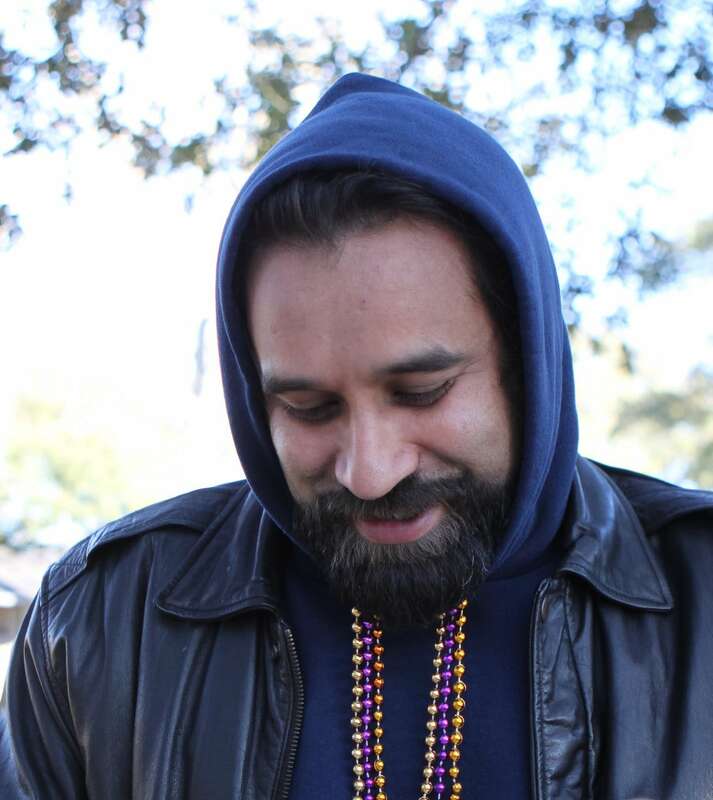 When thinking about the range and number of shows, New Orleans comic Andrew Polk describes the Lafayette comedy scene as “a well-oiled machine.” Polk credits Leonard and Lafayette Comedy for cultivating that scene. When Polk started performing in 2011, he noticed a few comedy shows and open mics scattered around town. Now, seeing the growth of the scene in south Louisiana is only validating. Tim Smith, a 31-year-old comedian who moved from Baton Rouge to Chicago to pursue stand-up, only has good memories of performing in Louisiana. Smith has been in Chicago for the past two years. 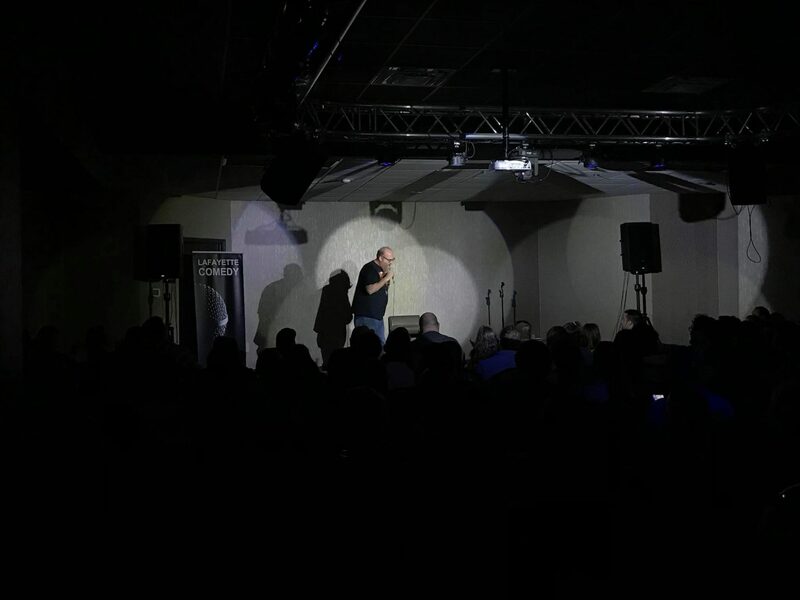 Performing in Baton Rouge and Louisiana had its perks — if someone new showed up, and they were decent, the other comics and the crowd were decent to him, he says. Smith’s hard work has paid off. He’s performed a couple of week-long stints at Zanie’s, a legendary Chicago comedy club with a 40-year history. But whatever good that comes with those shows, he gets a taste of reality the next night. Moving to a city known for comedy like Chicago isn’t on Shipley’s to-do list, at least for now. Her goal is to start getting on the road, playing shows outside of Louisiana and building contacts in other cities. She loves the comedy scene here — the scene she saw in its infancy and now feels like a “den mother” to. 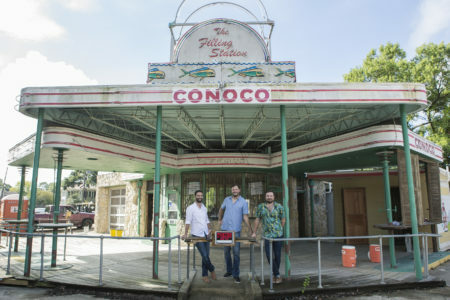 By February, Shipley will have been performing four years in Lafayette. While other comedians she knows are quick to move to a big city, she’s in no rush to move. As a comedian and with Lafayette Comedy, Leonard’s goals are as similarly hyper-local. “I want to keep growing myself as a comedian,” he says, mentioning that he has been accepted to perform at a comedy festival in Texas next year. 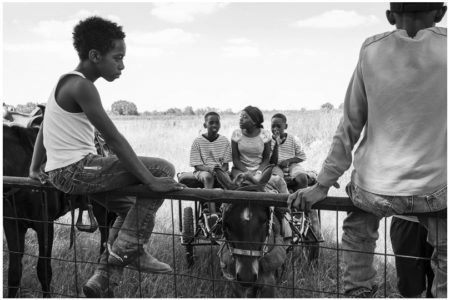 “Shows like that keep the wheels turning and keep me inspired. I also want to keep delivering great shows. National comedians help strengthen the scene because it makes more people aware that there is comedy in town. It draws attention to the showcases and open mics. Author Shome Dasgupta’s latest collection of short stories hearkens to the slum-world surrealism of Gabriel García Márquez. Kolkata is Dasgupta's Columbia. Angling for a fall 2018 opening, a new Downtown concept is ready for the bright neon lights.